Austin, TX – (March 21st, 2012) — The Association of Certified Fraud Examiners (ACFE), the world’s largest anti-fraud organization and leading provider of anti-fraud training and education, is pleased to award Raj S. Johal, of Bellevue, Washington, the globally preferred Certified Fraud Examiner (CFE) credential. In order to become a CFE, Mr. Johal has met a stringent set of criteria and passed a rigorous exam administered by the ACFE. Mr. Johal has maintained his CFE standing since 1997, and maintains his credentials by obtaining over 20 hours annually of continuing educational training in his profession. Mr. Johal has successfully met the ACFE’s character, experience and education requirements for the CFE credential, and has demonstrated knowledge in four areas critical to the fight against fraud: Fraudulent Financial Transactions, Fraud Prevention and Deterrence, Legal Elements of Fraud and Fraud Investigation. Mr. Johal joins the ranks of business and government professionals worldwide who have also earned the CFE certification. Mr. Johal is currently a Director of Investigations for Be Prepared Investigative Services and Survival Supplies in Bellevue, Washington (website www.bepreparedis.com). Mr. Johal is also a member of the Bellevue Chamber of Commerce and supports the Bellevue Police Foundation. Mr. Johal is married to Nina Johal, Senior Human Resource Director for Microsoft Corporation at the Bravern building in Bellevue, Washington. Mr. Johal has over 28 years of experience both as a retired Police Officer/Detective and Civil Enforcement/Compliance Officer for the City of Bellevue, Washington. He brings a vast array of knowledge in financial investigations, housing, building, zoning, land use, and business acumen. 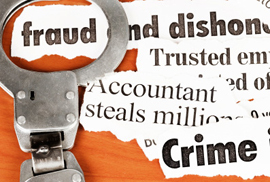 The ACFE is the world’s largest anti-fraud organization and premier provider of anti-fraud training and education. Together with more than 55,000 members, the ACFE is reducing business fraud world-wide and inspiring public confidence in the integrity and objectivity within the profession. Identified as “the premier financial sleuthing organization” by The Wall Street Journal, the ACFE has captured national and international media attention. For more information about the ACFE visit ACFE.com.